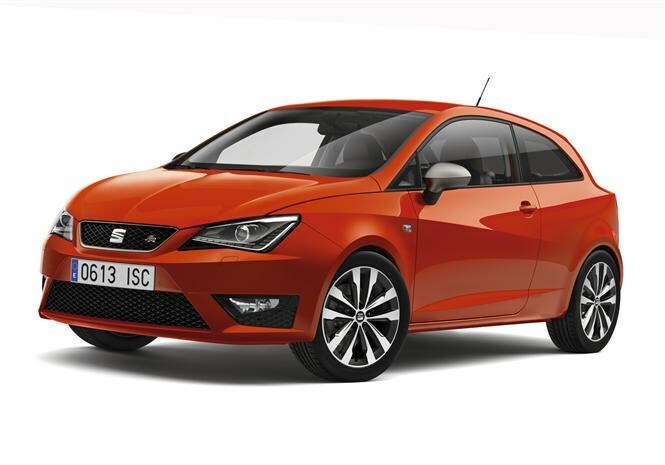 SEAT has unveiled its revised small car, the Ibiza, in three-door 'SC' hatch, five-door hatch and ST estate. 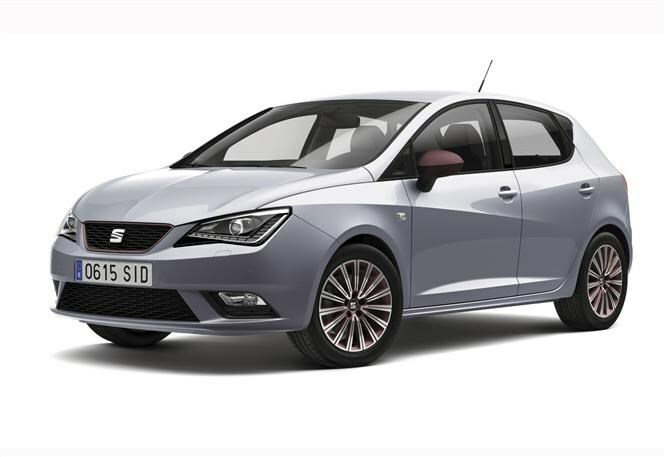 The new 2015 SEAT Ibiza features a range of all new engines that cut running costs thanks to improved mpg, and it is aiming to win sales from the Ford Fiesta and the Vauxhall Corsa. Buyers will have the choice of four petrol engines all fitted with stop/start technology as standard. The entry-level petrol engine is a 1-litre with 74bhp, but those looking for a more responsive engine can choose the same engine fitted with a turbocharger in either 94 or 108bhp outputs. The most powerful petrol engine is the 1.4 TSi version with 148bhp that features ‘Active Cylinder Management (ACT) which deactivates cylinders when there is low demand - for instance when coasting downhill. The company claims this reduces fuel consumption and enables an average of nearly 59mpg. While petrol engines are likely to prove the most popular with buyers, thanks to a likely lower purchase price, for those covering a higher mileage SEAT will offer three diesel choices using a 1.4-litre engine. Consumers can choose between a 74, 89 or 104bhp version with the lowest-powered version delivering a claimed 83.1mpg on average and emissions of 88g/km of CO2. That’s free road tax at current rates. SEAT is offering new safety systems including a driver drowsiness warning system (imaginatively called ‘Tiredness Recognition System’) that warns when it spots the driver getting overly tired. Also available is the Multi-Collision Brake set-up that applies the brakes after an impact to automatically slow down the car. If the airbags have been deployed the system will also switch on the hazard warning lights. The new range of Ibizas will feature a touch screen with sat-nav and DAB as well as media functions. This includes ability to stream music from iPods or smartphones via USB or Bluetooth. 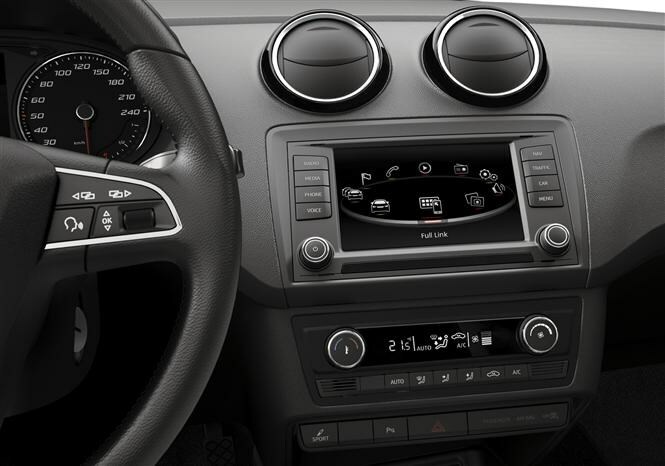 For music lovers there is the SEAT Sound System which provides six speakers, bass box in the boot, further amplification and added settings in the sound menu. Owners secure further controls in the form of voice operation and linking their smart phones for access to the phone’s functions and a range of apps. The entry level trim is S, with SE adding air con and colour touch screen as standard. The FR is the sporty looking version marked out by external design changes and different alloy wheels. There are five new colour packs on offer too including red and purple with matching trim touches inside the cabin including coloured seat stripes and air vent bezels. The new SEAT Ibiza goes on sale this Autumn in both five-door hatch, three-door SC and estate ST forms. Pricing is yet to be confirmed but expect prices to start from £12k for the five-door hatchback. 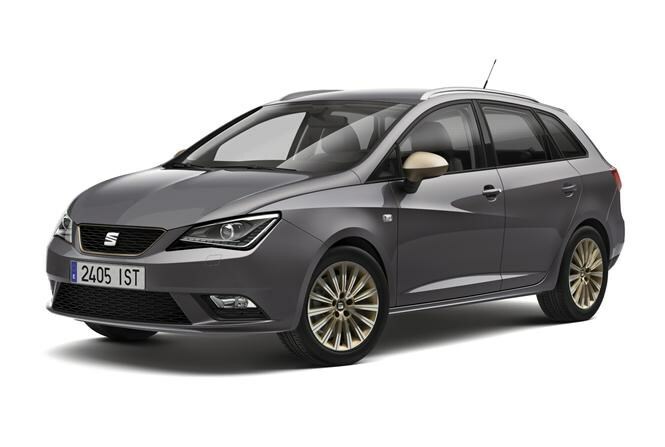 Read the full SEAT Ibiza hatchback review here and see Parkers SEAT Ibiza lease deals here.